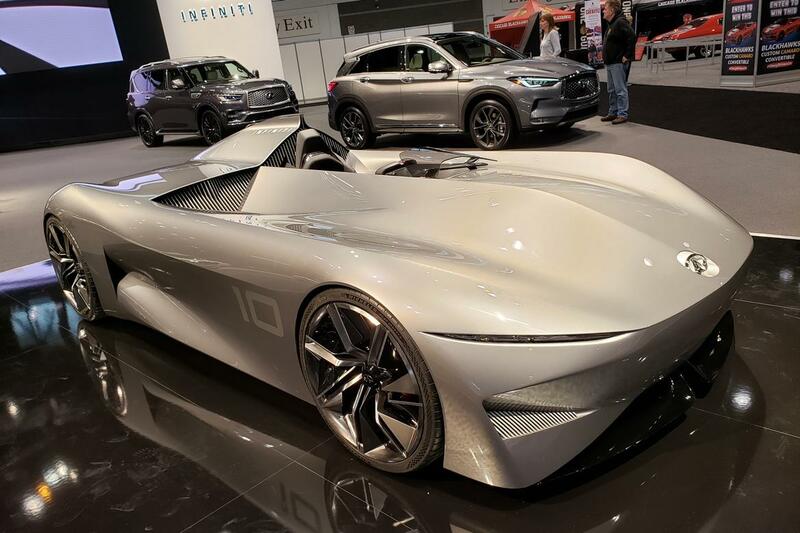 the weather outside the 2019 chicago auto show might be frigid, but inside things are heating up with automakers showing off their latest vehicles alongside a slew of concept cars that range from futuristic to quirky and fun. that's in addition to cool customized and theme-driven models on display now through sunday. 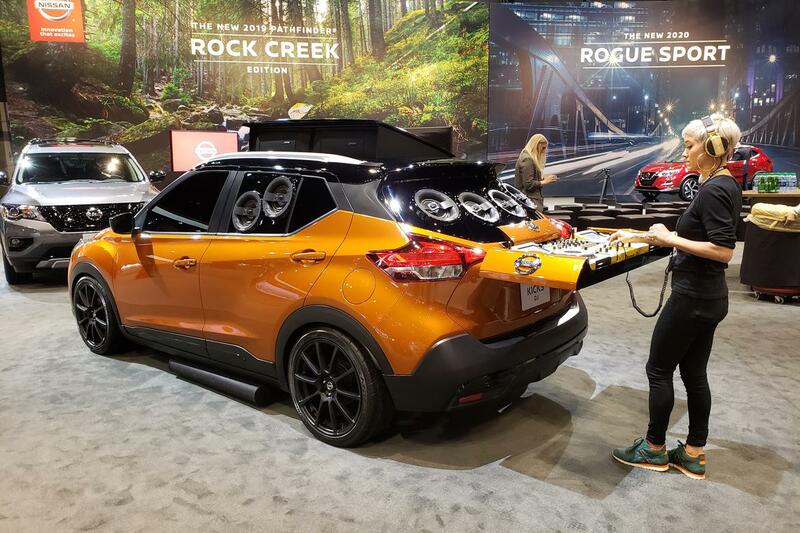 one of the highlights of the nissan kicks is its bose personal audio system, which plants a pair of speakers in the driver's seat head restraint to offer the feeling of surround sound. 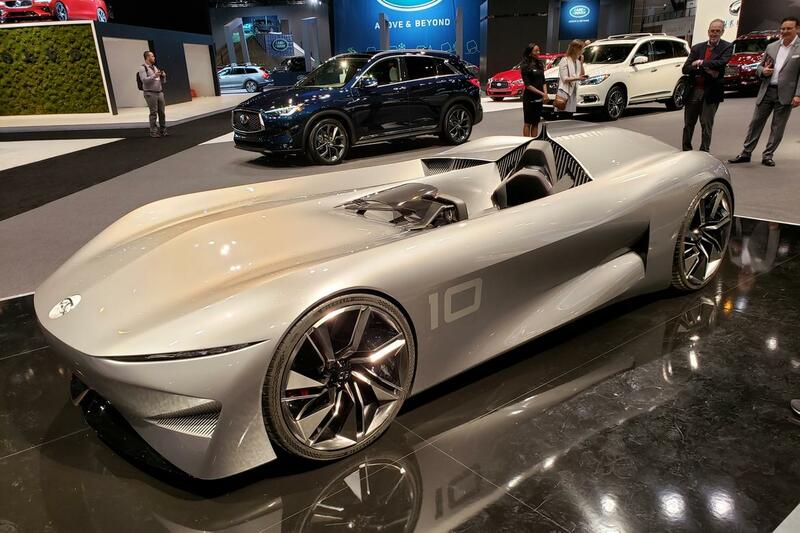 nissan has taken this idea to the extreme and outfitted the kicks sound machine with a lot more speakers (including some that point out of the rear windows) and a turntable setup that extends from the rear of the vehicle. think of this as the ultimate block-party vehicle that can take the music with it anywhere it goes. isn't everything better when it's made of legos? 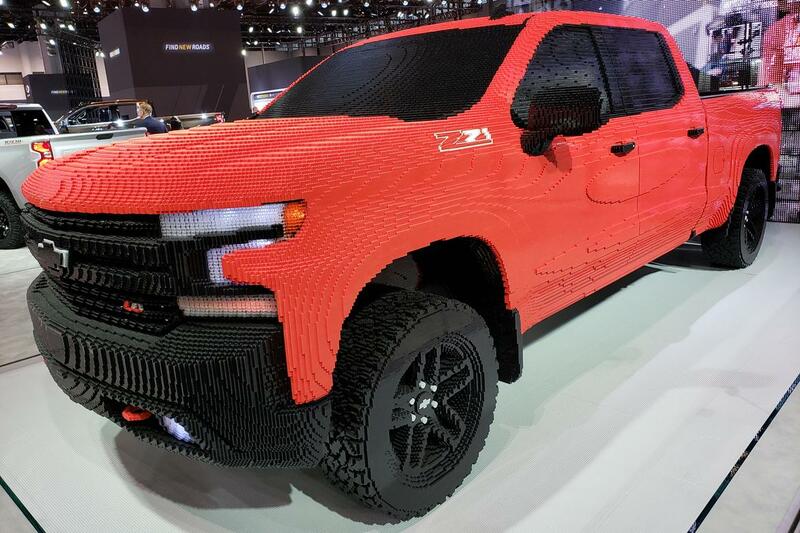 to celebrate the debut of the "the lego movie 2: the second part," a full-size replica of a 2019 chevrolet silverado 1500 z71 was built and is on display at the show. it took 18 builders more than 2,000 combined hours to build, and the model all told consists of 334,544 lego bricks; even the wheels and tires are made of legos. click here to see how the build went down, and if you want to check out "the lego movie 2," it arrived in theaters friday. 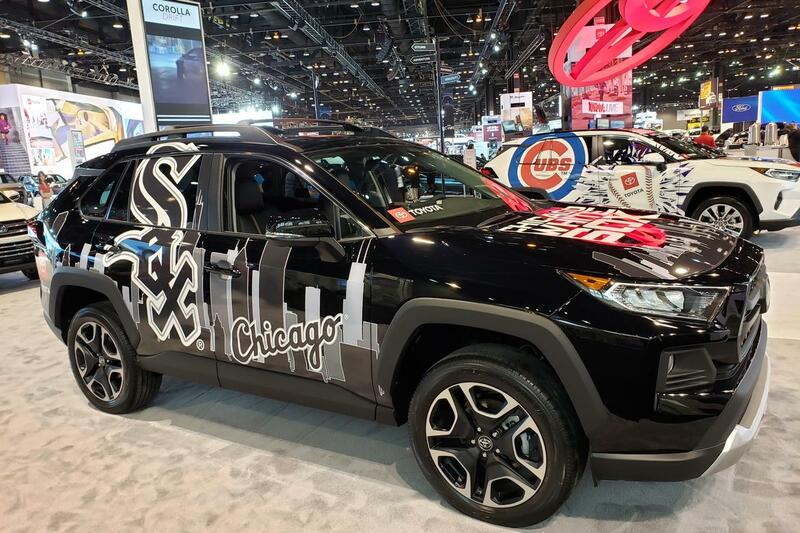 instead of choosing sides, toyota decided to straddle the line at the chicago show this year with a pair of rav4s — one decked out in cubs regalia, the other deco'd for the white sox. the rav4 got a striking redesign for 2019, and for 2020, toyota debuted a new trd off-road model of the compact crossover, which will hit dealerships this fall. 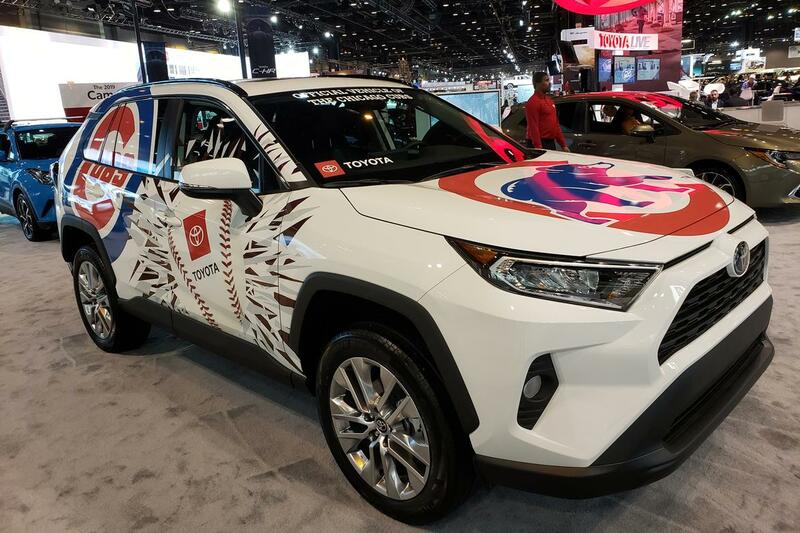 unfortunately, neither team went all the way in 2018, so toyota had to leave that world series trophy tundra in the garage — though one of the teams did at least make the playoffs, while the other finished 29 games back of the wild card. rounding out the roster of chicago-sports-themed vehicles is a show staple in the chevrolet camaro, decorated as usual in the colors and logo of the chicago blackhawks (i guess the bulls weren't good enough this year to warrant a vehicle of their own). for 2019, the camaro bucked the trend, and though it got updated styling and new technology in the cabin, it actually dropped in price on a few trim levels. it also added my favorite new feature: a rear camera mirror on 2ss and zl1 models, which actually allows you to see out the back of the submarine... i mean, car. 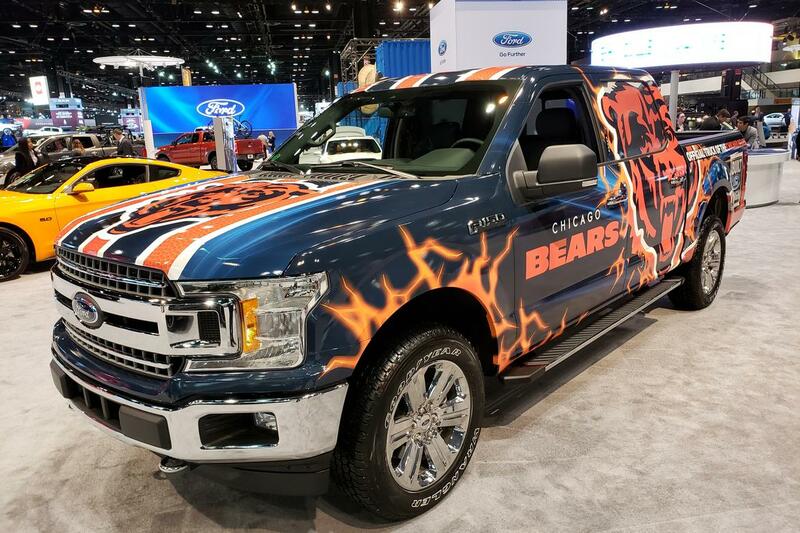 it's easier for ford, which only had one chicagoland football team to pledge allegiance to: da bears. check out the f-150 wrapped in bears logos and (for some reason) orange lightning bolts at the ford booth. it was quite a season for the bears, which made the playoffs — and i can't even make any mitchell trubisky jokes. beyond this truck, ford also has on display a new harley-davidson f-150 concept, so there are a few half tons that are worth checking out at the blue oval's booth. 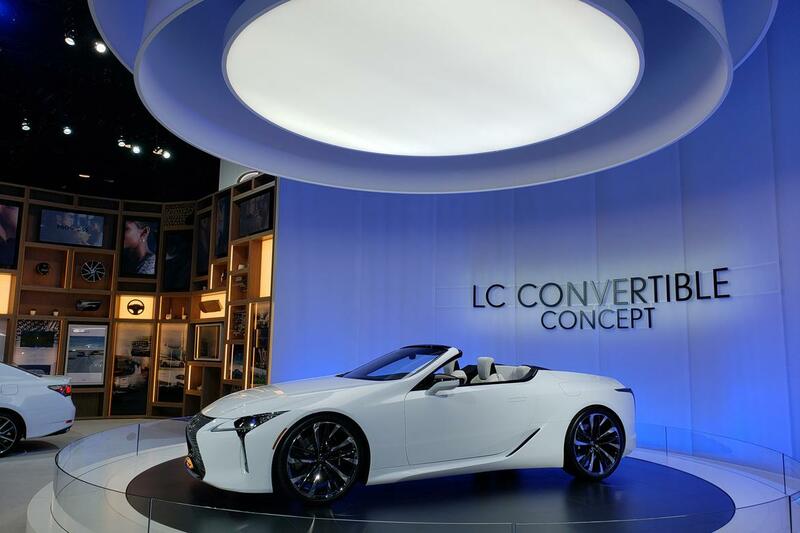 the lc convertible concept feels like one of those concepts that's an inevitability — one look at it and it appears to be nearly production-ready. thankfully, it's as good-looking as its coupe sibling. peeking inside, the interior appears identical to the coupe, as well — another clue that we'll see the convertible in production form soon. the addition of a convertible to the lc stable makes sense given its strengths as a touring car. no word yet on what's under the hood, but our best guess is that it will inherit both the v-8 and hybrid powertrains from the coupe. 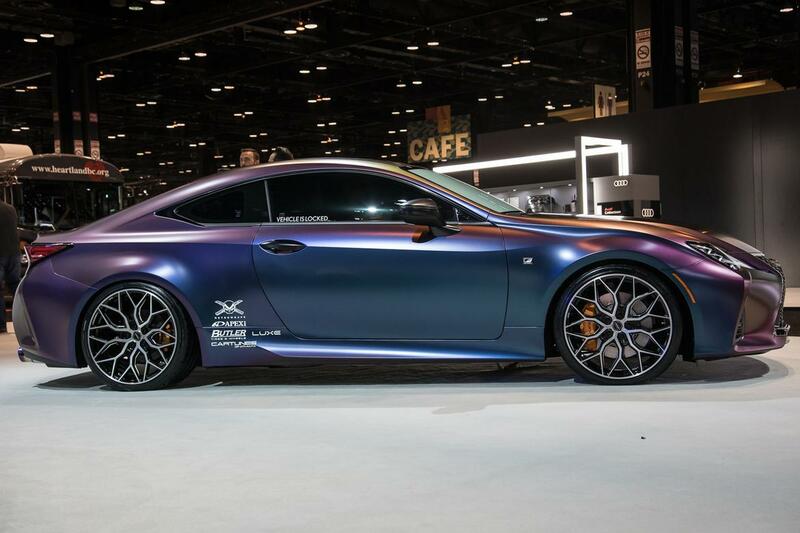 a custom build based on the refreshed 2020 lexus rc, this car started its life at the miami auto show before making stops at the specialty equipment market association show in las vegas and a few other locations on its way to the los angeles auto show last fall. along the way, different hands added on "musically inspired" modifications, including a turntable setup that hangs out of the trunk. beyond that, there are more standard car modifications: an avery satin rushing riptide wrap for color, 20-inch vossen hf-1 wheels, an underglow lighting kit and an a'pexi n1-x evolution exhaust system. this is a car that you can actually buy, but its "out-there" credentials are strong, so it's worth including on this list. 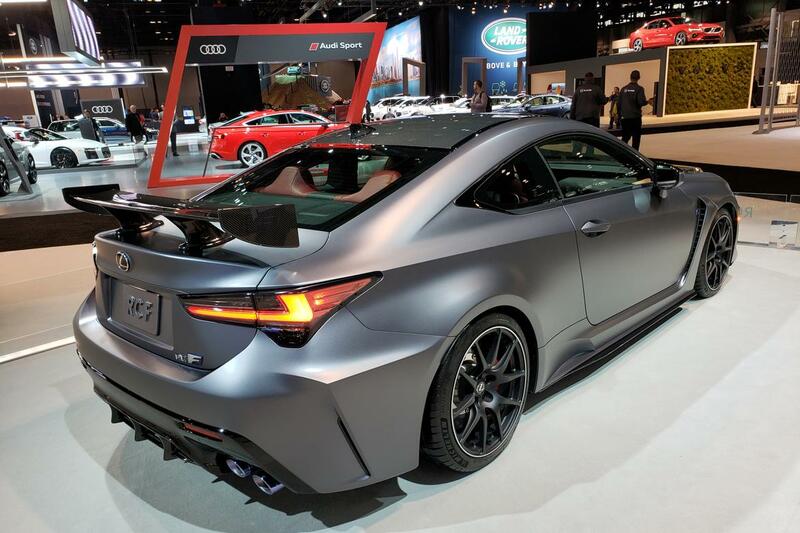 it is immediately distinguishable from the standard rc f by its fixed carbon-fiber spoiler, while the hood, parts of the roof and lower spoiler are also made of the light stuff. under the hood, the rc f track edition has the same 5.0-liter v-8, but its lower weight means it sprints from zero-to-60 mph in less than 4 seconds. those interested in the track edition need to move fast, however — lexus has hinted that it will only be built in very limited quantities. 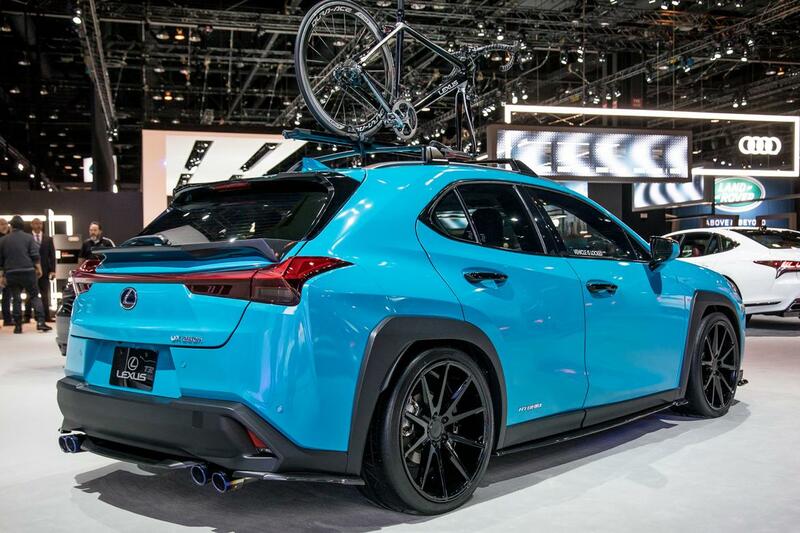 the ux 250h kind of straddled the line between hatchback and suv already, and this custom proves that if you lower it, it just gets more confusing — but it does look pretty. this custom car was designed by clark ishihara and features a lowered suspension, larger wheels and a slight body kit that skirts the entire vehicle. my favorite feature is the striking blue color (a lagoon blue oracal wrap) and the wheels are 20-inch vossen vfs-1s. i'm also glad they chose the hybrid version of the ux as a base — it's a much better vehicle to drive than the gas version. 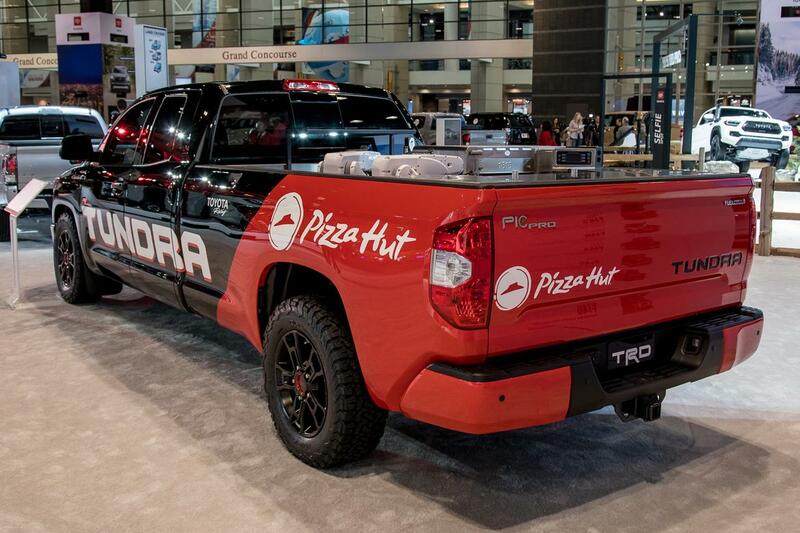 it's a bit heretical that toyota brought a pizza truck to the chicago auto show and it isn't serving deep dish. but if you're able to forgive that blasphemy, then the technology that goes into powering the pizza maker (which is mounted in the back of a tundra pickup) is pretty cool. 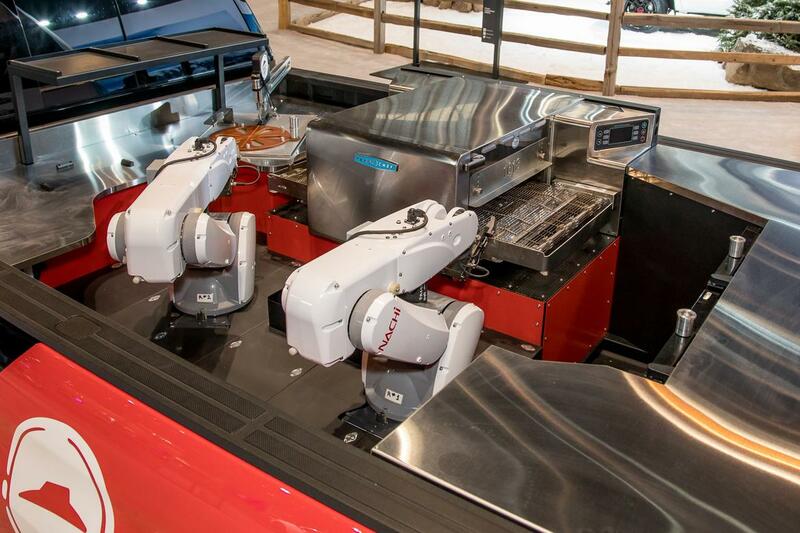 the guts of the tundra have been ripped out and replaced with the hydrogen fuel-cell electric powertrain out of a mirai, which makes this pizza machine zero-emissions. the self-contained kitchen in the back consists of a refrigerator, a pair of robotic arms and an oven. it takes about seven minutes to make a pizza - and probably less time than that to polish one off.